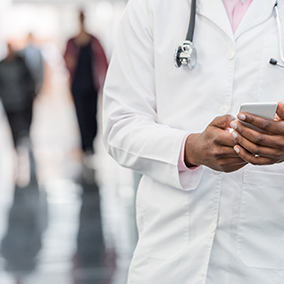 An evolution is underway in the unification of clinical communications and workflow that promises to remove the fragmentation that basic secure messaging has inadvertently introduced into care team collaboration and care delivery. The solution is a workflow-driven, enterprise-wide communication platform that serves every member of the care team wherever they are. It’s a coming of age that allows clinicians and providers to return to the natural flow of care delivery that less evolved solutions have interrupted. Download our FREE white paper now to learn about The Essential Unification of Clinical Communications and Workflow.